Books contain years of accumulated human wisdom and play a vital role in allowing readers to become aware of the world around them. During the Joseon Dynasty, great efforts were made to assimilate and absorb new knowledge and culture from the outside world. This fact is made evident by the diversity of Chinese books held at Kyujanggak. While keeping the time-honored traditions of the Joseon Dynasty, King Jeongjo established Kyujanggak as a repository of numerous books, But he also wanted Kyujanggak to become a place where wisdom and knowledge could be created in abundance. Future generations also kept King Jeongjo's spirit and continued to gather and study books that contained new knowledge. In this way, Jibokjae集玉齋, which was established under the reign of King Gojong, also collected books rich in modern scholarship and culture. 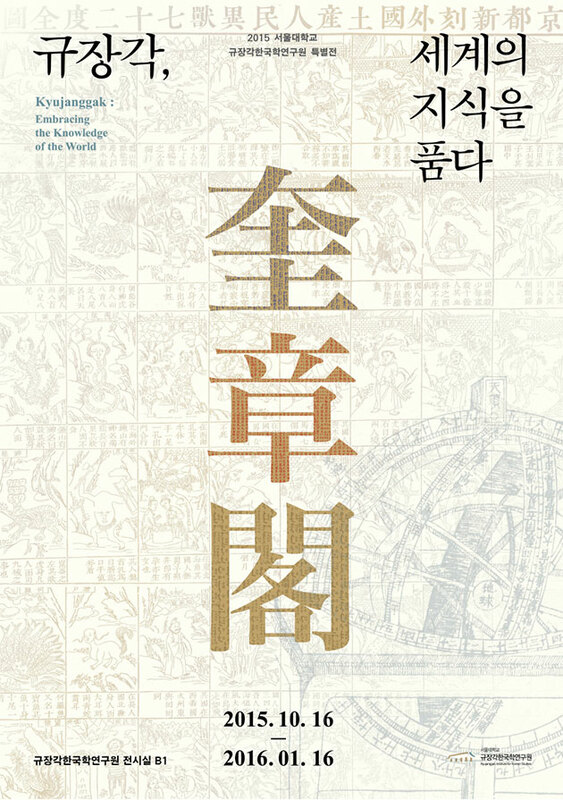 This special exhibition,"Kyujanggak: Embracing the Knowledge of the World," has been conceived as a reconstruction of the efforts of Joseon people to use books as windows to the world and opportunities for groth. King Jeongjo thus always emphasized that nothing compares to books when it comes to breaking away from antiquated knowledge and fostering new ways of thinking. Despite the difficulty of accepting new ideas and ways of thinking, the people of the Joseon Dynasty made great efforts and succeeded in connecting with the outside world. This spirit of wisdom continues even to this day.